I have seen these dozens of times at my local Target. 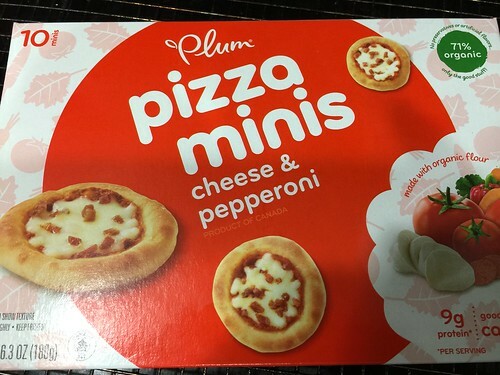 Never bought them because…I would just buy a full-sized pizza. Duh. But shopping today I am (A) hungry (B) these look so good on the package, and (C) I have a gaming marathon planned so these will come in handy. If I devour a whole box of these, somehow I reason, I will not feel as gluttonous as I might if I demolished a whole pie. So if you make the “OK” symbol with your fingers…and separate the pointer finger from your thumb a scootch… you will get the size of these things. I call them “poppers” because you can pop one in your mouth and not have to hit pause on the game or lose your place in the action. These have some nice flavors to them. They obviously are alot better looking than some Totino’s Pizza rolls but then again you get more in a bag for about the same price I think. If you have kids or a small party going on, these would be a nice go-to move for a quick bite that would satisfy.